Turner and IMG’s ELEAGUE today announced several new and expanded business partnerships ahead of The ELEAGUE Major: Boston, with its final stage set to begin Friday, Jan. 26. The first of these is with Twitch, which will serve as ELEAGUE’s official streaming service for its live event coverage. The multi-year agreement secures Twitch’s exclusive streaming rights to all ELEAGUE events. In 2017, The ELEAGUE Major Grand Final set a new Twitch record for the highest amount of concurrent views on a single stream with more than one million viewers, and they will be looking to replicate this success over the coming years. ELEAGUE has also expanded its partnerships with Dell/Alienware and HyperX. Dell/Alienware have been partnered with ELEAGUE since early 2017, powering all events including ELEAGUE Major: Boston. HyperX has been the official headset sponsor of ELEAGUE since its inaugural 2016 season. They return for another season, and have a number of activities planned to tap into the excitement of The ELEAGUE Major: Boston Champions stage. These partnerships are just adding on to the many others ELEAGUE has on-site for its 2018 events, with others including Geico, Boost Mobile, Kellogg’s Cheez-It and the US Air Force. 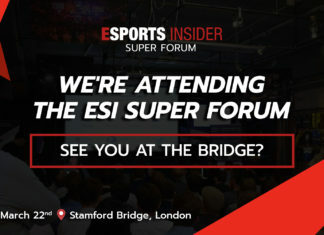 Esports Insider says: It’s no surprise to see more companies signing exclusive streaming rights with Twitch – whilst it once was presumed all esports could be find there, competitors such as Facebook Live and YouTube are always on the horizon. The Dell/Alienware and HyperX partnerships also serve well to provide competitors with high-end products at some of the biggest events of the year. It’s good to see the desire to support competition keep growing.